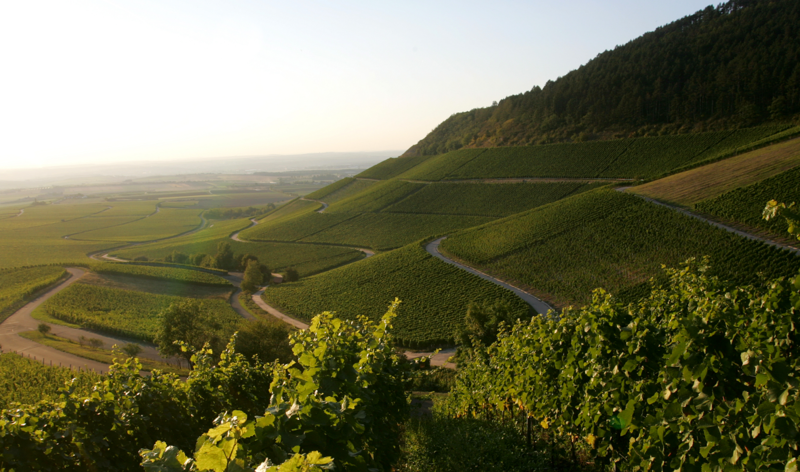 Single location in the municipality of Iphofen (Steigerwald area) in the German wine-growing region Franconia, It is named after the Würzburg Prince-Bishop Julius Echter von Mespelbrunn (1545-1617). This founded not only the University of Würzburg, but also the foundation Juliusspital, At the beginning of the 19th century, the three layers Berg, Rechenberg and Johannisberg were combined under this new layer designation Land consolidation 1971 the area was nearly doubled by the integration of neighboring areas. The Julius-Echter-Berg became famous throughout the world for a 1950s Riesling selection, which was delivered to the British royal family in London on the occasion of the coronation of Queen Elizabeth II in 1953. This page was last modified at 15 May 2018 at 17:41.